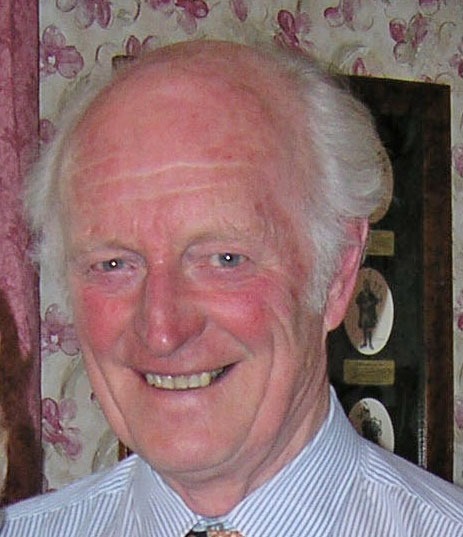 The rich family life of Tom Knowles was celebrated at the St Peter and St Paul RC church in Leyburn – and it was for his family and as someone who cherished and loved to share the beauty of the Yorkshire Dales that he founded the Association of Rural Communities. “Grandad taught us family is an important support centre.,” Sarah Jayne Mitchell said in her tribute to him, during which his other grandchildren and some of his great grandchildren joined her at the front of the church to say their own quiet farewell. She told a packed church that Tom had been born in Durham in August 1933 and baptised Thomas Henry. His family moved to Darlington five years later and after he left school he went into farming in Wensleydale with the Iveson family at Wensley. When they moved to Westholme near Aysgarth in 1958 it was just a small dairy farm. Not long afterwards they were asked by the then Vicar of Aysgarth, the Rev John Benson, if they would let boy scouts camp there two to three weeks a year. Soon after this they started catering for the parents of boy scouts and many others for Tom and Margaret certainly understood how important it was to encourage people on more restricted incomes to visit the Dales. Some of those people later came to live in the area. After Tom and Margaret took over a bed and breakfast business with a restaurant in 1988, Tom became an Aysgarth and District parish councillor. He was remembered at this year’s Aysgarth Township meeting as being a generous man who bought the village its first Christmas tree with lights. His experience as a parish councillor made him well aware of the growing anger towards what was then the Yorkshire Dales National Park committee and he poured out his frustration in a letter to the D&S in 1995. Even he was surprised by the huge response to that letter. He spent the last part of that year attending large angry meetings from Askrigg and Garsdale to Kettlewell and the Association of Rural Communities was born. As the association’s president he summed up very clearly in 1998 some of the major problems facing the Yorkshire Dales National Park Authority. “The Yorkshire Dales should be a prosperous area with young people able to have families in thriving villages and towns, and able to earn a living without having to leave their local communities. The most important issue facing the YDNPA is how they can improve the local economy which is necessary to keep the younger generations employed in the area. Instead they are being driven out as there are too many second homes and holiday homes,” he said. He continued helping to monitor YDNPA planning meetings for the association after he and Margaret moved to Spennithorne in 1996. Retirement also gave him time to indulge in cooking and baking. Tom and Margaret had three children – Carolyn Bowe (who died in 2003), Jacquie Dinsdale and Tony Knowles, as well as 13 grandchildren and 13 great grandchildren with one more due on what would have been his birthday. Father James Blenkinsopp officiated at the funeral mass and the bearers were Tom’s grandsons: Paul Knowles, Stephen Bowe, and Keith, Stuart, Ryan and Chris Dinsdale. The collection of £470 will be shared between St Peter and St Paul RC church and Yorkshire Air Ambulance. Tom began writing to the planning department in 2007 asking about the basis on which the holiday park at Westholme was being remodelled. The Association of Rural Communities assisted him and after several letters it found out that the planning department had given approval for the remodelling on condition that the site could no longer be used for pitching tents, touring caravans, trailer tents or mobile homes. This, it was stated, would be for the “benefit to the natural beauty of the landscape” partly because there would be no brightly coloured tents. The site has now become a multi-million pound eco lodge site.